New in this month is For and against David : story and history in the books of Samuel / edited by A. Graeme Auld and Erik Eynikel, available at BS1325.52 For. Also new is the 3rd edition of Mark as story : an introduction to the narrative of a gospel by David Rhoads, Joanna Dewey and Donald Michie, at BS2585.2 Mar. 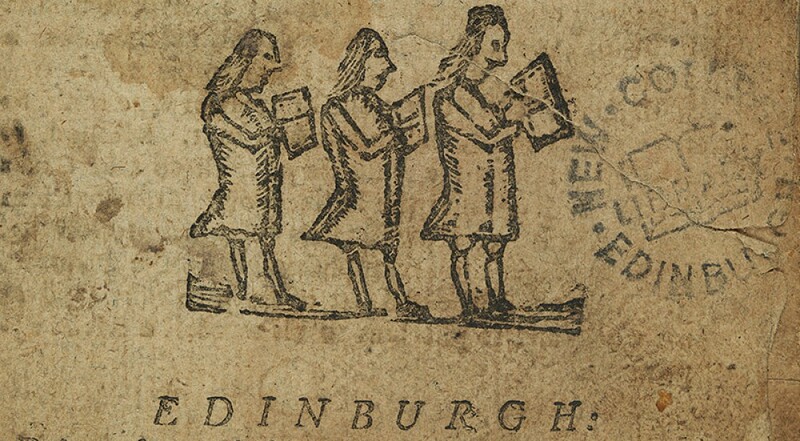 These titles were purchased for Biblical Studies at the School of Divinity, Edinburgh University. 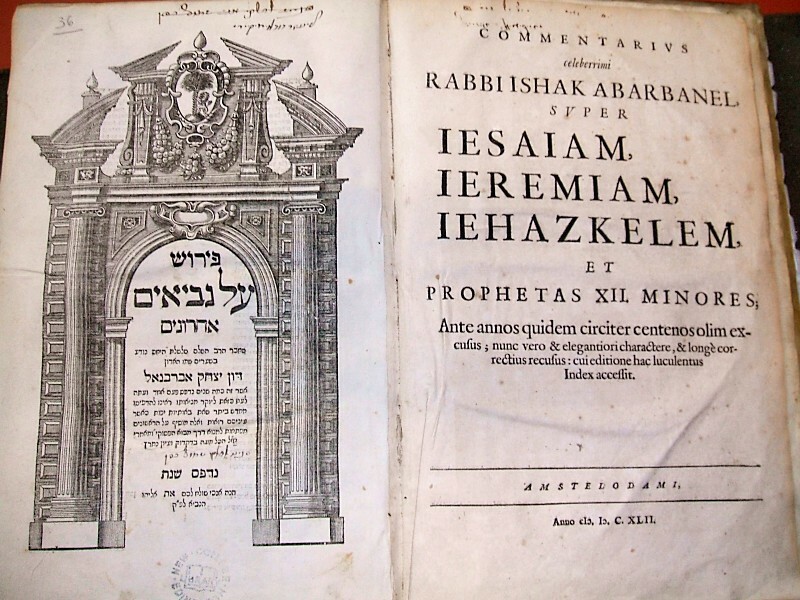 This item from New College Library’s Special Collections is a biblical commentary on the Old Testament prophets by the Portuguese Jewish scholar Isaac Abravanel (1437-1508). Abravanel was employed by King Alfonso V of Portugal as his Treasurer and his career encompassed statesmanship, philosophy and finance as well as biblical scholarship. In his commentaries he took time to include an introduction to each book, concerning its character and the intention of the original author. Much of his exegetical work was translated and distributed within the world of Christian scholarship, and this seventeenth century edition shows that Abravanel’s work was still in circulation nearly two hundred years after it was produced. This book is part of the Dalman-Christie collection of Hebrew books, which was recently catalogued as part of the Funk Cataloguing Projects at New College Library – thanks go to our Hebrew Cataloguer, Janice Gailani, for sharing details of this item. The Dalman-Christie collection was transferred to New College Library in 1946 from the Church of Scotland Hospice in Jerusalem.